Home / Balsamic Titbits / FIAT 500 and Balsamic Vinegar: a winning combo! FIAT 500 and Balsamic Vinegar: a winning combo! On Sunday April 22nd Traditional Balsamic Vinegar of Modena I.G.P. was celebrated together with the legendary FIAT 500 car at the national gathering of these legendary Italian vintage cars that took place in Piazza dei Martiri of Carpi, in the province of Modena. CARPI. On Sunday April 22nd the main square of Carpi, Piazza dei Martiri, was literally invaded by one hundred and fifty Fiat 500 cars, together with other vintage model cars such as Bianchine and Topolino. The minicar was the protagonist of one of the largest national gatherings dedicated to this famous vintage model together with Original Balsamic Vinegar of Modena I.G.P. The entire day was dedicated to celebrate these two made-in-Italy products which are recognized and appreciated all around the world. An incredibly huge event that counted over 150 participants. This has all been possible thanks to the collaboration of the Fiat 500 Club Italia (Section of Modena/Carpi and province) and of the De Nigris Group, creator of the Balsamico Village, the first theme park dedicated to this excellence of the Italian food industry. The cars did first a tour of the territory, doing some sightseeing and finally went to the Balsamico village. The entire tour was filmed from a helicopter on which there was also Alberto Bellelli, the mayor of Carpi. The president of the group Armando de Nigris defined the event as «A twinning in the name of Italian excellence». He further added that « Modena motoring district, as well as Traditional Balsamic Vinegar, speaks of a land of passion and traditions, cultivated with great patience and humility. 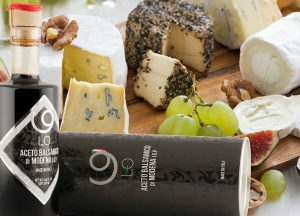 FIAT 500 is a symbol of the Italian Style which is loved all over the world; and this style is the same that makes our Traditional Balsamic Vinegar of Modena I.G.P. appreciated in over 70 countries ». After that, do you need other reasons to use Balsamic Vinegar? Previous Balsamic Vinegar tasters: all starts at Spilamberto!